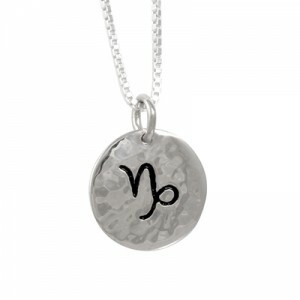 Blue Turtles offers this collection of Horoscope pendants. Each pendant measures a petite 14 mm in diametre and features one of the 12 symbols of the zodiac etched into a hand hammered disc. It’s an elegant item of jewellery when worn on its own, or can be combined as a charm with other favourite pieces. With each pendant, you will receive an information card and a satin pouch. 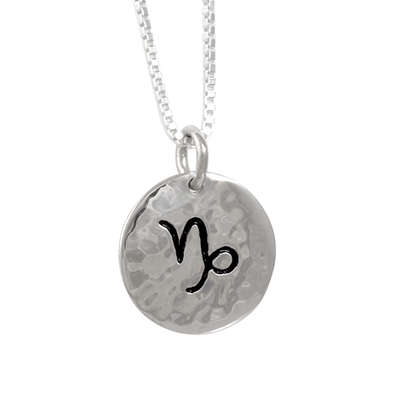 Aries is a dynamic and fearless trailblazer, prepared to push ahead into uncharted territory. With impressive initiative and powerful charisma, Aries is a born leader, who easily inspires and rallies people to a cause. However, don’t expect Aries to lead them to the final conclusion, because Aries specializes in the initiation phase (no matter how formidable). Once things are up and running, Aries wants to move on to the next challenge. As a companion Aries is generous, loyal and a lot of fun but at times may seem somewhat indelicate. Remember though, this is the courageous mover and shaker who can be depended on to get things going when the going gets tough. 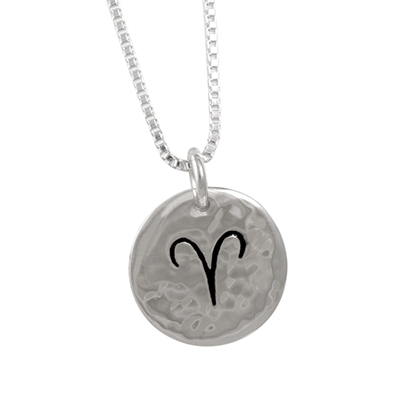 Aries plays to win, and as long as there’s a challenge, Aries stays in the game. To purchase or to find a stockist, click here. 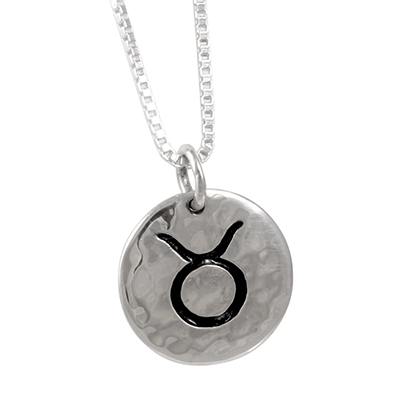 Taurus’s penchant for stability fuels an undying commitment to keeping loved ones happy. 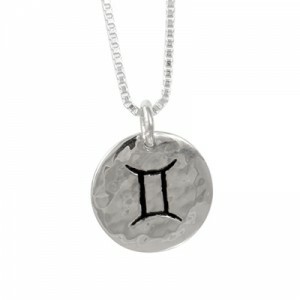 Taurus is sentimental, sensual, romantic, devoted and family focused. Both talking and listening are Gemini’s strengths, making Gemini a most wonderful friend and companion, and with a healthy imagination and wit, a bundle of fun too. Gemini loves to socialize and mingle, absorbing every detail from every conversation, whilst imparting a wealth of knowledge. 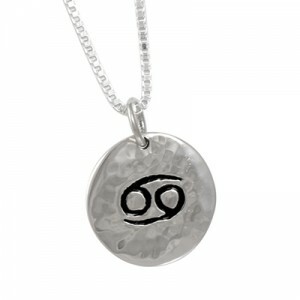 Caring and affectionate, Cancer is deeply devoted to loved ones and family and very protective. Nurturing and feeding are a Cancer specialty, and generous Cancer is always ready to lend a helping hand. Home is where Cancer’s heart lies, and a comfortable and stable home mean the world to Cancer. A crab is soft but well protected in its shell and more than capable of defending itself. Likewise, Cancer has a big, soft and sensitive heart and is generally reserved, but will stand steadfast when it counts, whether in self-defense or in defense of loved ones. With powerful magnetism and an energetic zest for life, it’s no surprise that dignified Leo is a natural-born leader. Virgo is happy to go over the details of things with a fine-tooth comb, methodically examining, analyzing, corroborating information and leaving no stone unturned until everything checks out – if you’re going to do the job, might as well do it correctly and get it right the first time. Virgo is sensible, thorough and practical and thanks to a logical and astute mind combined with a strong sense of duty, can always be relied upon. Indeed, doing what’s right by others and lending a helping hand are both fundamental traits of Virgo. Peace, harmony and balance are what Libra aspires to. Libra loves the company of people and wants to do what’s best for all. 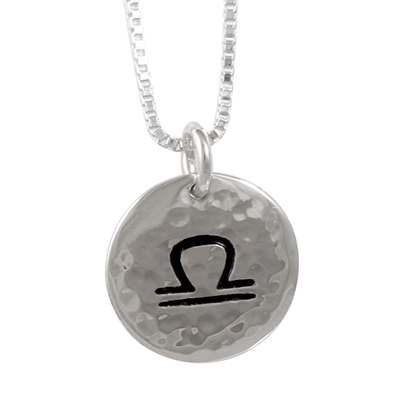 Charming and skilled in conversation, Libra puts people at ease by knowing exactly the right things to say. Once Scorpio’s mind is made up, there’s no turning back. 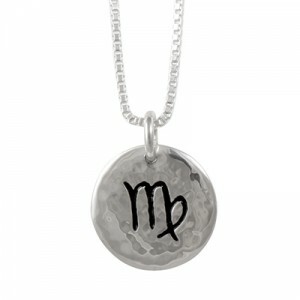 Assertive Scorpio’s determination means that whatever the goal - and no matter the challenge – Scorpio will persevere. This perseverance combines with Scorpio’s excellent powers of perception and impressive resourcefulness to mean that Scorpio is more than likely to succeed. 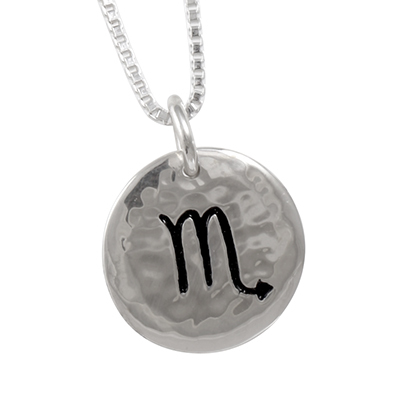 An air of mystery surrounds cool, calm and collected Scorpio, who prefers to keep emotions concealed, even though these emotions may run deep. Friends can trust Scorpio to keep secret anything they’ve said in confidence. Enthusiastic Sagittarius thrives on new experiences and truly loves life. Freedom to learn and explore is important to Sagittarius, who doesn’t take kindly to having those wings clipped. Capricorn is ambitious, but realistic and practical, which means the road to success will be traveled in a responsible and efficient way, with a fail-safe plan in effect. A visionary and original thinker, Aquarius has a brilliant and unconventional mind, which produces truly innovative and creative ideas. 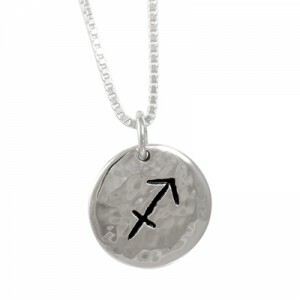 Combine this sharp and inventive intellect with Aquarius’ humanitarian spirit and you get a force for good. 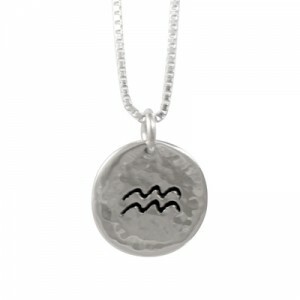 Altruistic and compassionate Aquarius puts much effort into thinking of new ways to make the world a better place. Aquarius is self-assured and sees possibilities and alternatives where others don’t, which can annoy Aquarius when others fail to see things the same way. Essentially, though, Aquarius wants to encourage everybody to get on board with the new plan to change the world for the greater good. Enigmatic, inward looking Pisces walks a fine line between two worlds. So natural is Pisces’ propensity to drift between mundane reality and the deeper, inner spiritual realm that Pisces often doesn’t distinguish between them, which can lead to confusion. Pisces’ coping mechanism is to become expert at a chosen technical skill, often an art, a healing modality or some other creative endeavor, which provides a point of focus and acts as an anchor. Sensitive, charitable and trusting, Pisces usually considers the needs of others first, which can leave this beautiful soul vulnerable to unscrupulous or insensitive people, who may cause Pisces to feel sad and victimised. This is not a weakness, however. 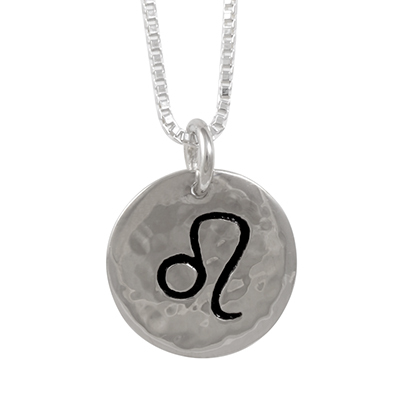 It is more a sign of Pisces’ beauty and depth, which many people simply can’t fathom. 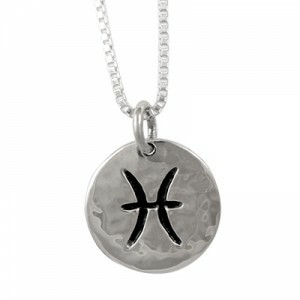 Pisces is highly intuitive and often psychic, though may be completely unaware of it.